Whichever the way the wind blows, this arrow, a typical design from the 1800s, will adorn the rooftop of your home, garage, cupola, barn or gazebo. Good Directions' pure copper weathervanes are unsurpassed in style, quality, and durability – perfect for the house-proud homeowner. Bring The Joy of Outdoor Living to your home with this heirloom-quality piece. 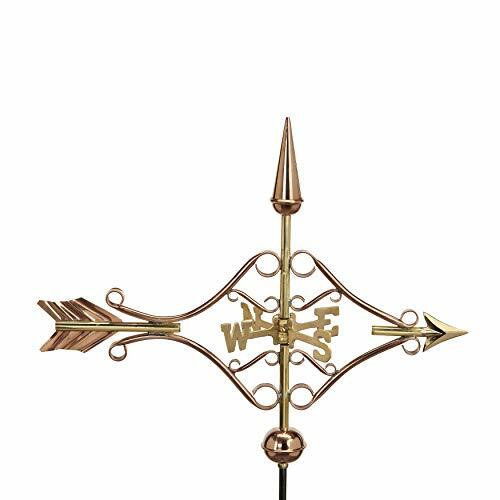 Whichever the way the wind blows, this ornate arrow will adorn the rooftop of your home, garage, cupola, barn or gazebo. 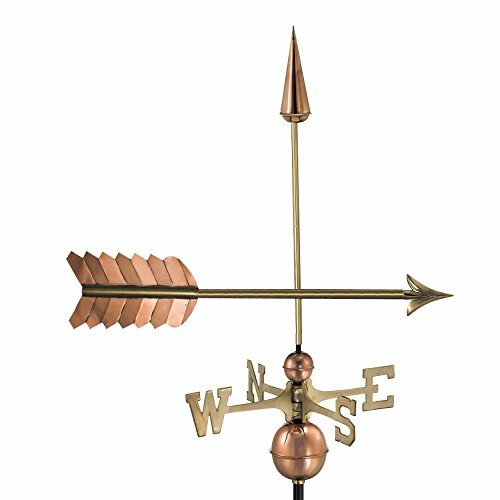 Good Directions' pure copper weathervanes are unsurpassed in style, quality, and durability – perfect for the house-proud homeowner. Bring The Joy of Outdoor Living to your home with this heirloom-quality piece. 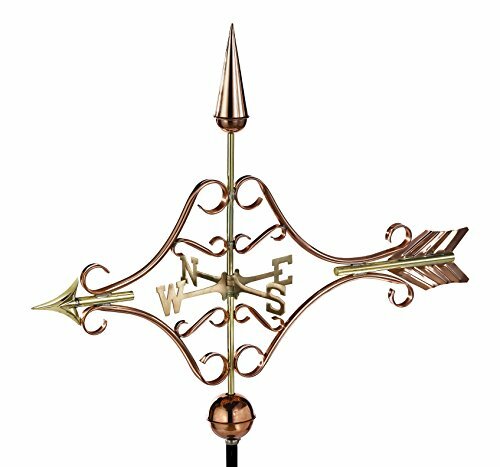 Whichever the way the wind blows, this decorative arrow, a typical design from the 1800s, will adorn the rooftop of your home, garage, cupola, barn or gazebo. Good Directions' pure copper weathervanes are unsurpassed in style, quality, and durability – perfect for the house-proud homeowner. Bring The Joy of Outdoor Living to your home with this heirloom-quality piece. 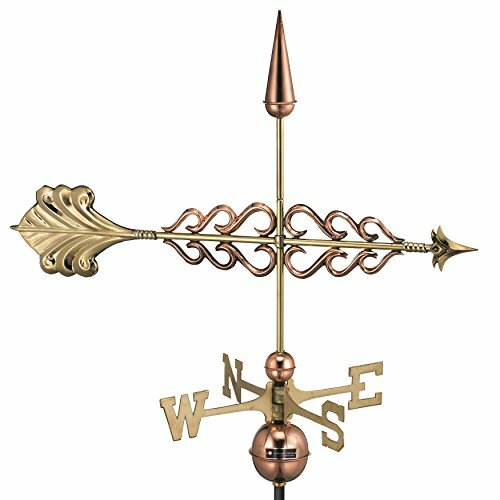 Whichever the way the wind blows, this ornate arrow will grace your garden, deck, or yard. 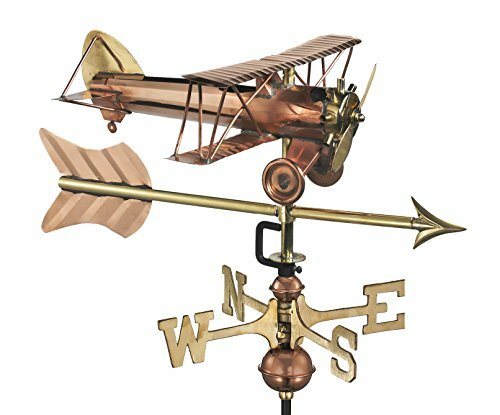 Good Directions' pure copper weathervanes are unsurpassed in style, quality, and durability – perfect for the house-proud homeowner. Bring The Joy of Outdoor Living℠ to your home with this heirloom-quality piece. 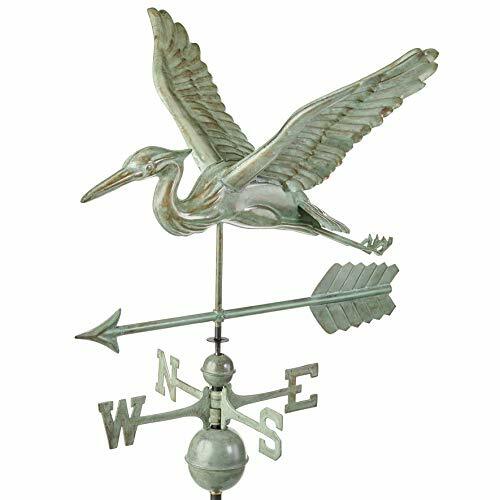 East Coast Weathervanes and Cupolas, a branch of Weathervanes of Maine INC, has been in the weathervane and cupola industry for more than 30 years, Specializing in the finest quality weathervanes available today. Heading away from its marsh pond nest, this Great Blue Heron is ready to adorn the rooftop of your home, garage, cupola, barn or gazebo. For over 35 years Good Directions pure copper weathervanes have been unsurpassed in style, quality, and durability – perfect for the house-proud homeowner. Bring The Joy of Outdoor Living℠ to your home with this heirloom-quality piece. This beloved Biplane was popular during WWI, & later for crop dusting. Now it's ready to adorn the rooftop of smaller structures, sheds, & gazebos. For over 35 years Good Directions pure copper Weathervanes have been unsurpassed in style, quality, & durability - perfect for the house-proud homeowner. Bring the joy of outdoor living to your home with this heirloom-quality piece. Weathervanes have been looked up to for hundreds of years. Popular in Europe, weathervanes were valued for their function as much as their design. 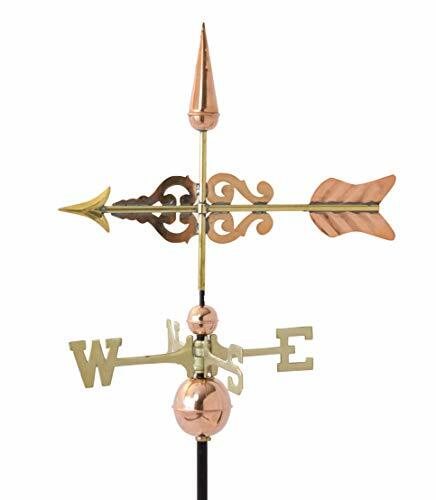 Farmers, seafarers, and others would watch the weathervane to get their weather forecast by paying close attention to changes in the wind- an indicator of bad or good weather. It was these Europeans that brought the weathervane tradition to America. Weathervanes quickly became popular in the Colonies for the same reasons they had been in Europe- they were beautiful pieces of functional art. 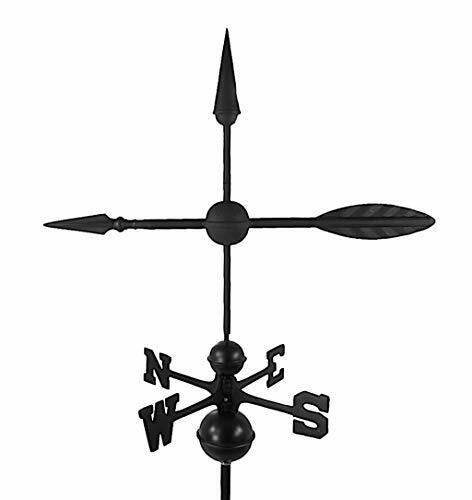 Today, Dalvento offers you this hand-crafted fully-functional weathervane. Yes, it will still tell you if the wind is changing direction and will look great doing so. Want more Arrow Weathervane similar ideas? Try to explore these searches: Pc Mount Pot, Cinnamon Leather Handbags, and Winter Classic Penguins.